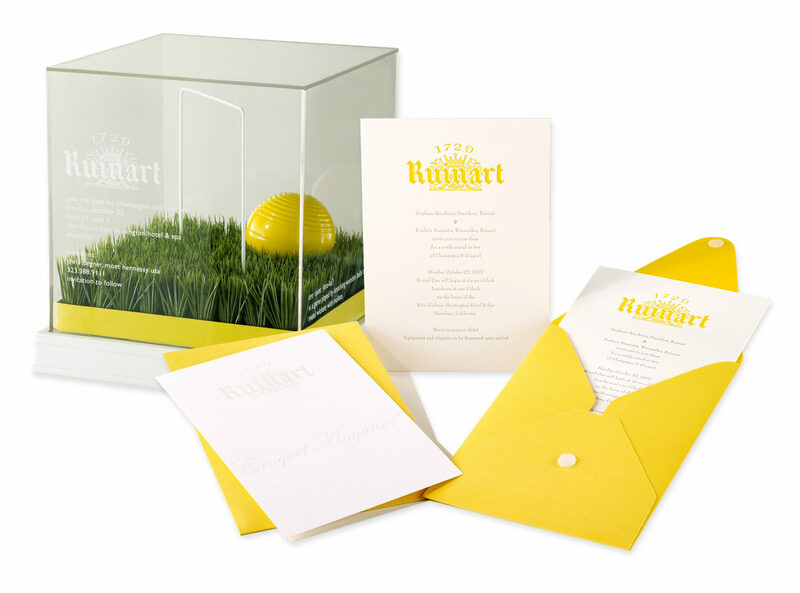 Ruinart Champagne Croquet Party: This playful save-the-date took First Place at the 2008 BizBash Design Awards. It features a silkscreened Plexiglas cube with yellow leather banding, florists’ display grass and a custom-painted ball, wicket and base. It was hand-delivered by models in white Bentleys. 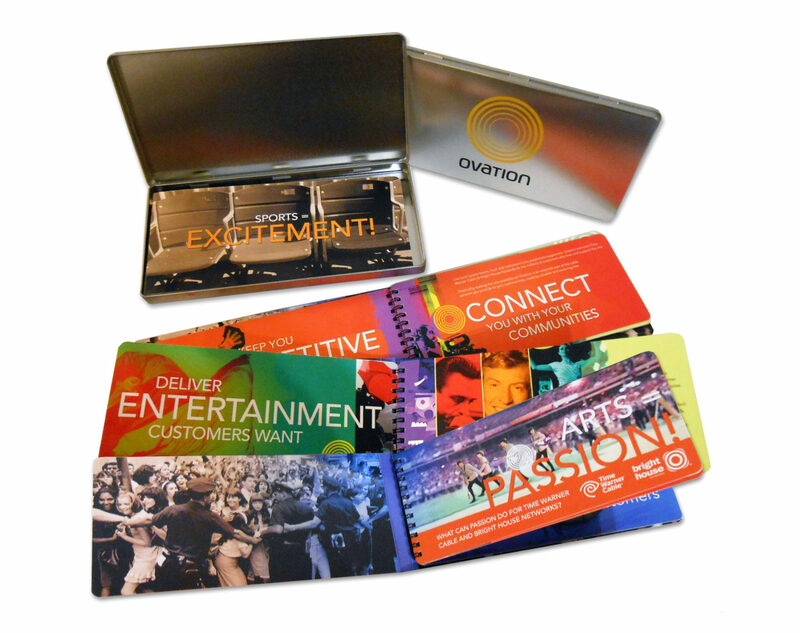 Ovation TV Mailer: When Time Warner Cable removed Ovation TV from its lineup, we helped TV’s only Arts network get back on the air, sending a powerful, eye-catching statement to TWC execs about the importance and popularity of the Arts. LA Lupus “Bag Ladies” Luncheon: Card Tricks came through in the clutch for this annual event, which featured an auction of one-of-a-kind celebrity-donated designer purses. 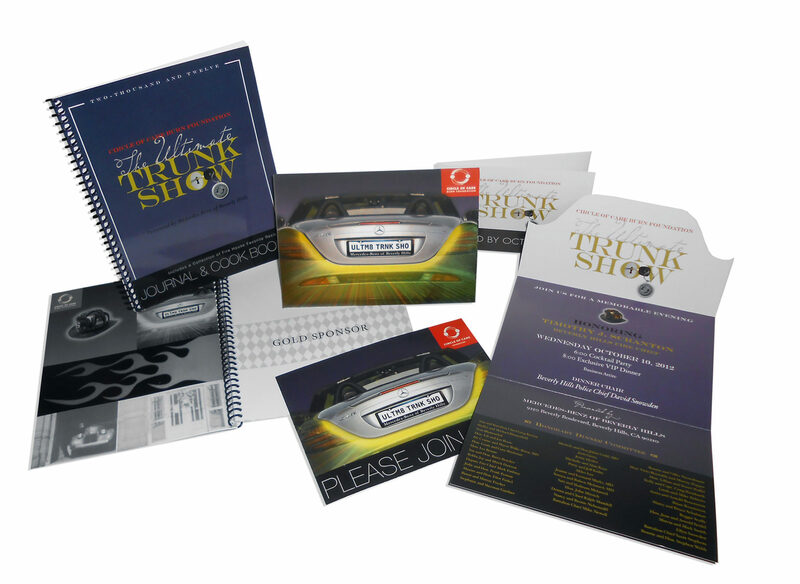 Circle of Care Trunk Show Fundraiser: We revved up the excitement with this distinctive invitation and program materials for the Ultimate Trunk Show, a fundraiser for the Grossman Burn Foundation. 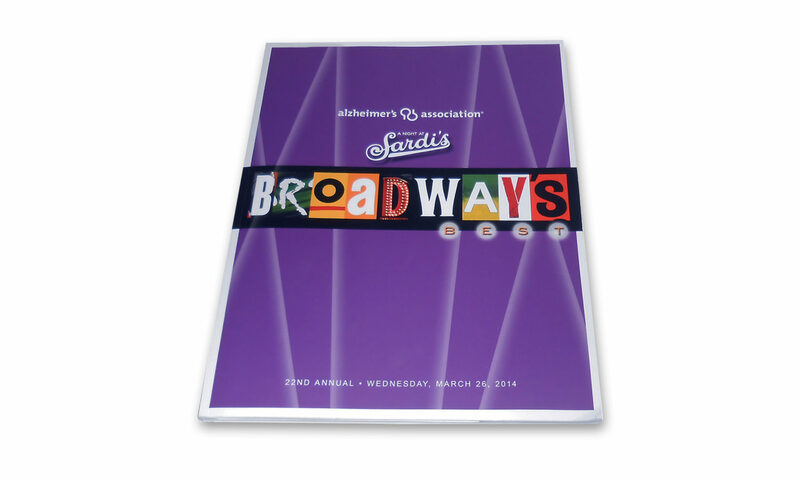 Alzheimer’s Association Annual Event: We created graphics for the star-studded “A Night at Sardi’s, Broadways Best,” to raise awareness and funds to combat this devastating disease. 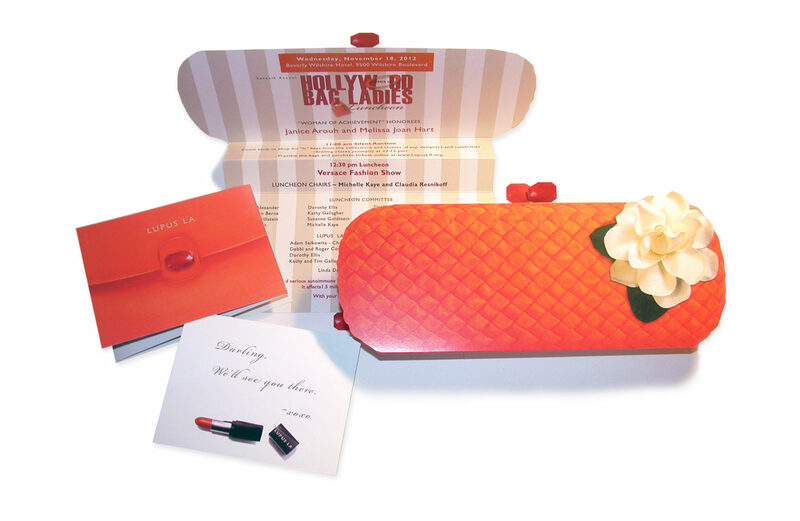 Young Presidents Organization Christmas Party: The event graphics were inspired by old Hollywood glamour. 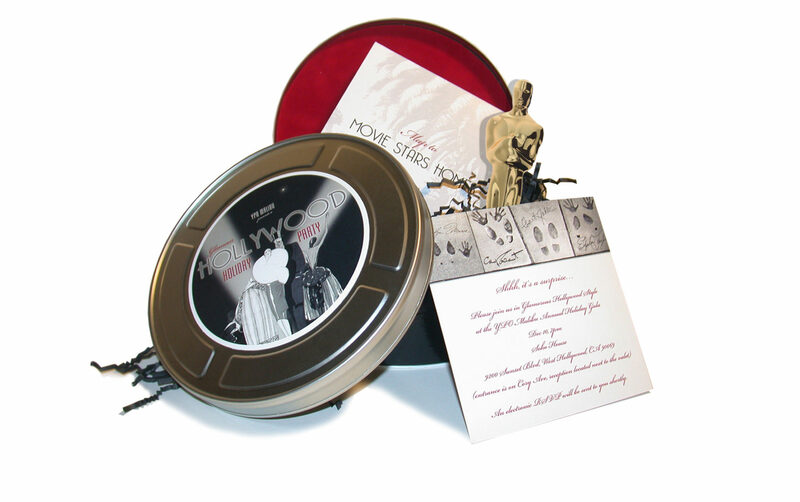 The materials were lined with red velvet and black crinkle paper inside a film canister – all shipped in a custom black tube.